Recently Hollyn sat down with New Release Today to discuss her newest songs, specifically one entitled "Isaac." 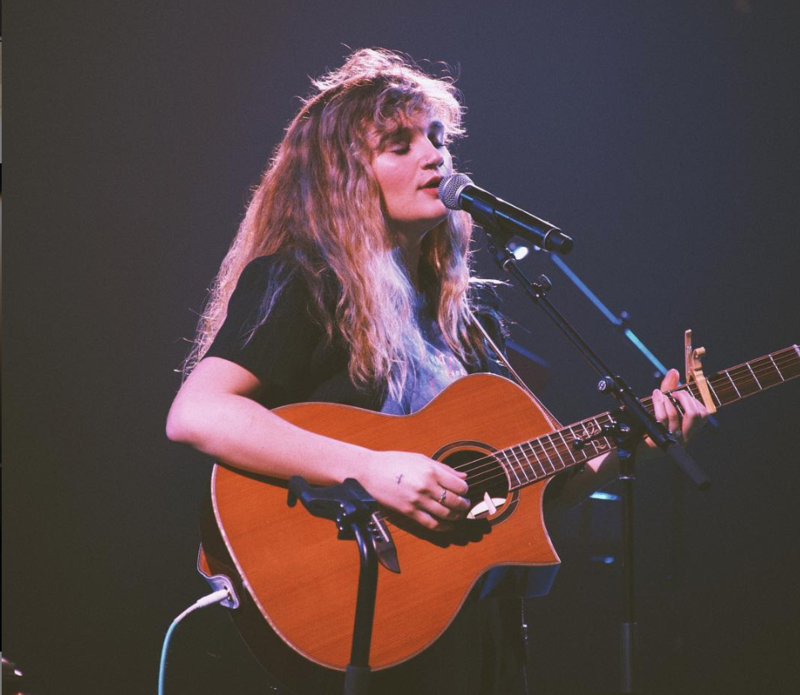 She's had a crazy last few years with a relationship that left her in a confused place, marriage to the love of her life, a tour with Sadie Robertson, now a tour as part of WinterJam, and this song, "Isaac" comes out of that place. "I was in Indiana in November 2017. And, in May of that year, I had met someone and was in a relationship with him for six months. In that time, I was really struggling with my identity: the things in my mind and my heart that I knew were true, specifically about God. This person believed some of the same things as me. But, he had twisted my mind and heart into a dark place. It bled over into a lot of areas of my life. I found myself in a very difficult season. I accepted a tour with Sadie Robertson from October through November. And, at the end of that tour, I felt depleted. Self-imploding. And, no matter how much I prayed, I felt uncomfortable. I felt God's conviction and kindness in a scary way, because I knew I was being disobedient. But, I didn't know how to get out of it, without hurting the people around me. I wasn't in the right frame of mind to write songs. But, I remember God speaking to me, and the pre-chorus of my song, "Isaac" came out: "No, don't rush what I've started/See I am doing a new thing." That was the beginning of writing this song. I went back home. I was at a low point in my life, asking Him a lot of questions. I had to let go of things I was holding onto. God saw the full picture of what was ahead for me. I thought this person I was letting go of was the person God had for me, and I had to let him go. My grandmother told me it sounded like the story of Abraham and Isaac. I understood, but I didn't know what I was getting in return for letting something go in my life. I was hoping that whatever God had for me would be better. As I got healthier and spent time with the Lord, finishing this song all stemmed from me believing and knowing God had something better planned for me than I could see at the time. Whatever my "Isaac" was I had to give it up in exchange for whatever God had for me. I feel like "Isaac" is my life over the past two years. The next year, I met my husband. That was God's plan for me. In the process, I learned that God's character was different than I thought it was to me. The way I interpreted His love was based on what I was doing for Him. And, in this situation, I was so out of my comfort zone. He gave me the choice to be His friend and trust Him with my situation. People need to understand that even in their darkest seasons, they can trust God. No amount of time or preparation can compare to what God has planned for them. The same God who directs me in every relationship and career move has removed me from the grip of anxiety and depression, and has shown me the evidence of how He shows His plans and promises in my life. I think He wants to do that in all of our lives. We all have an "Isaac" that God wants us to give up for Him. He will make it known. (Read the story of Isaac in Genesis 22.)" You can follow Hollyn on Instagram here, and read the entire interview here.